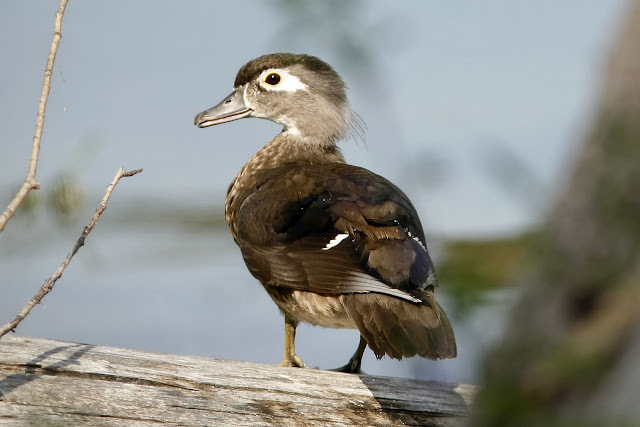 I think its safe to say that no American duck rivals the beauty of the Wood Duck (Aix sponsa). The male's gaudy colors make them unmistakable, and even the females boast a striking white eye patch. Wood Ducks are also quite an interesting duck from a behavioral standpoint. 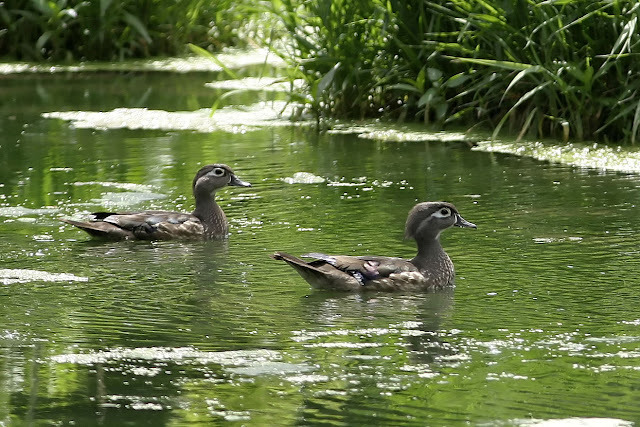 While many ducks congregate in large numbers, especially on wintering grounds, wood ducks are rarely seen in groups. Pairs are probably most common. Additionally, and counter-intuitive for ducks, they feed mainly on seeds (Sibley indicates Acorns being a preferred food), but are known to also eat berries and insects. 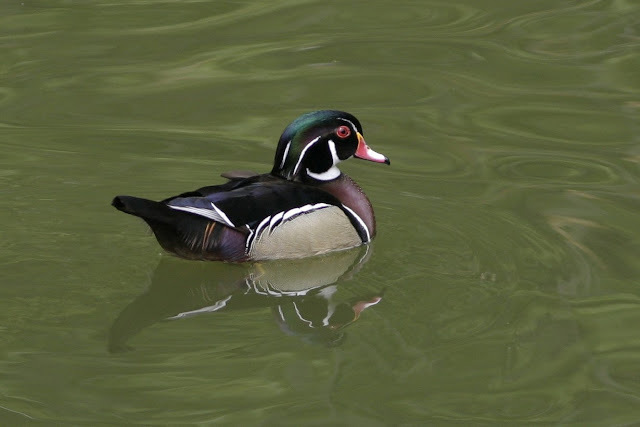 Wood Ducks derive their name from their nesting location - tree cavities and occasionally man-made boxes near ponds, swamps, and lakes. Uniquely, Wood Ducks also have claws to help them perch in trees. Wood Ducks are easy to identify, and are found in most of the eastern half of the USA and along the west coast. While my photos for this post are from Nebraska and Washington, Wood Ducks occasionally show up in the interior west, and here in Arizona are rare but increasing visitors in many locations of the state, ranging from Willcox to Prescott and Oak Creek and even Bullhead City.